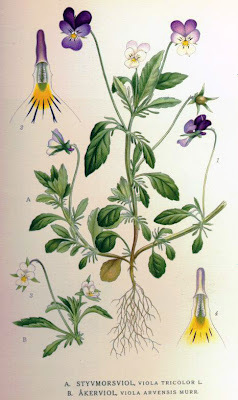 Viola Arvensis. 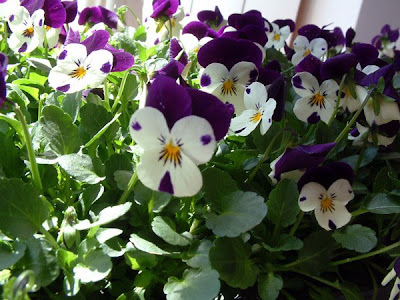 Or Field Pansies. I got a slew of them last week and have been planting them every day since in pots, old metal pails, coffee cans, window boxes etc. One of my absolute favorite flowers. It's markings are so concise and striking...its an elegant springtime flower that blooms before almost anything else, and folks - most importantly - its edible. I'm actually thinking of trying to incorporate some in a sample bouquet tomorrow -- we'll see how they last once they are cut. I got the idea from a this bouquet I saw on Birch's website in San Fransisco. Gorgeous styling...I can't wait to see more of what they do. 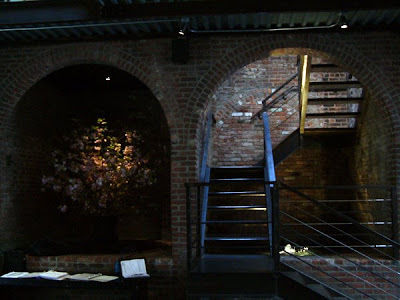 In other news, on Sunday I bribed Aaron to act as my assistant and we drove out to The Foundry, a perfectly restored 19th century cathedral-like building located right under the 59th Street Bridge in Long Island City. We've been getting a few wedding bids for this venue so we decided to do a full investigation (and a walk through with the bride of an upcoming wedding). Thank you Aaron for the photographs. wow, they're pretty and edible?! Now, that's incredible.